Patriots owner Robert Kraft was one of the most outspoken people when it came to Deflategate, otherwise known as the most ridiculous sports scandal ever. 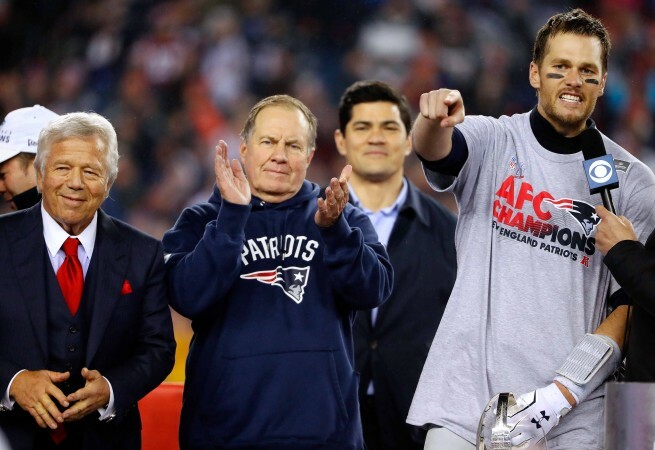 While the scandal has been mostly dead since Tom Brady returned from his four-game suspension in Week 5, it is being talked about again because the Patriots are in the Super Bowl and many are wondering what a possible trophy presentation between Roger Goodell and Kraft, Brady and Bill Belichick will be like. Last night, Kraft was asked why he was so defensive about everything that went on. “Well, everyone wants to protect their family,” Kraft told reporters. “I think our family was involved, or accused of being involved, in something that was mishandled and inappropriate, became a big distraction. Leadership is about stepping up when it’s the appropriate time and then making sure everyone knows that we’re all on the same page. 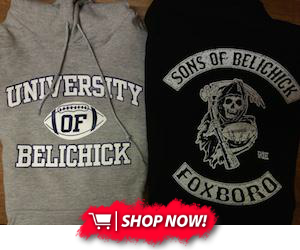 If the Patriots win on Sunday, I want to see Kraft, Brady and Belichick unload on Goodell. It'd be so perfect.